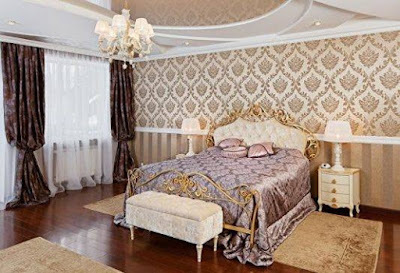 The group of modern bedroom wallpaper, called natural, includes bamboo, cork, fabric and leather cloths that look great in ethnic and eco-style, as well as strict classical directions. Such wallpapers act as decoration or addition to the style idea, therefore they are placed in the interior in doses that are combined with other types of decoration, for example, painting or decorative plaster. 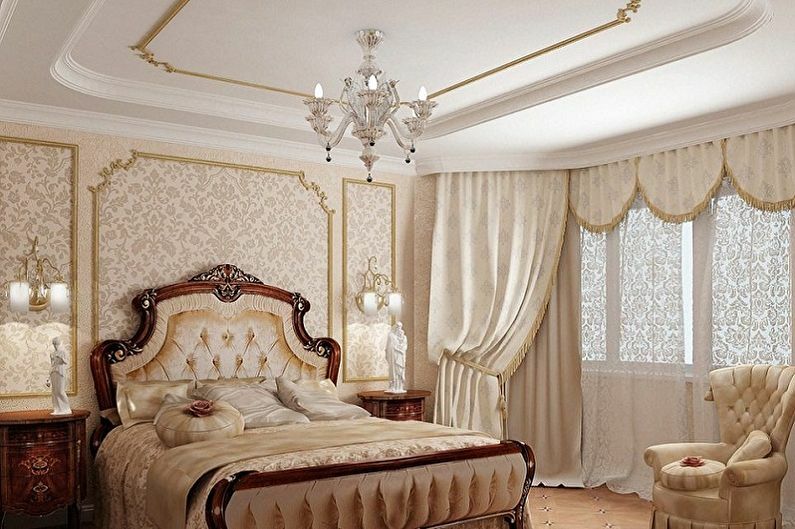 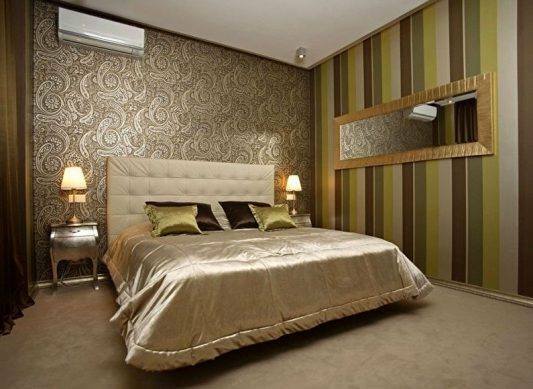 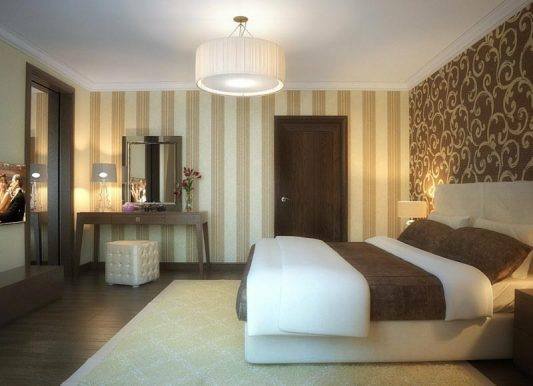 Glass fiber is one of the most modern bedroom wallpaper species. 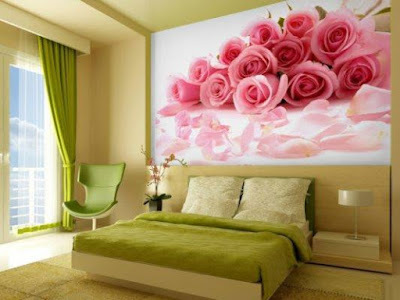 Just like non-woven, they are mostly designed for painting, although they also have already painted representatives. They are distinguished by their special strength, the ability to tolerate any degree of moisture without damage. 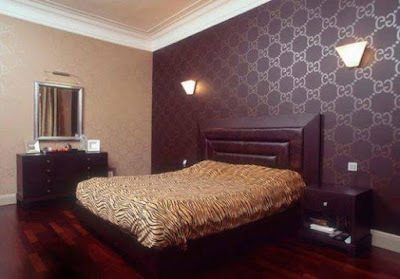 Liquid wallpaper is a special composition that is applied to the wall like plaster, as a result acquiring a completely extraordinary look with notes of warmth and comfort. 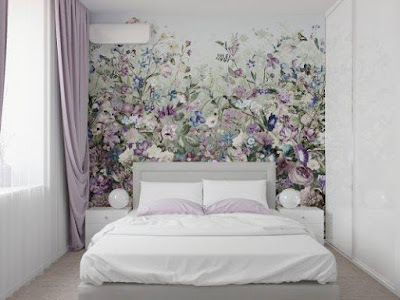 Diluting various tones of wallpaper, you can create incredible playings, draw whole pictures, and adding luminous paint and sparkles will turn an ordinary wall in the evening bedroom into a shimmering kaleidoscope. Wall mural - material, which is now at the peak of popularity. 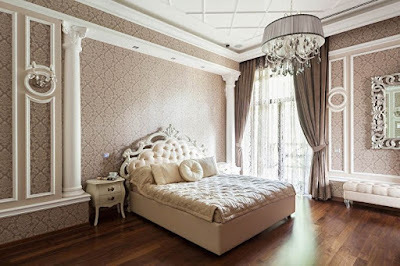 In the bedroom, with paintings in the head, the head of the bed or the wall opposite is crowned. Particularly interesting is wallpaper design for bedroom with a 3D effect, but they are appropriate only in spacious interiors. 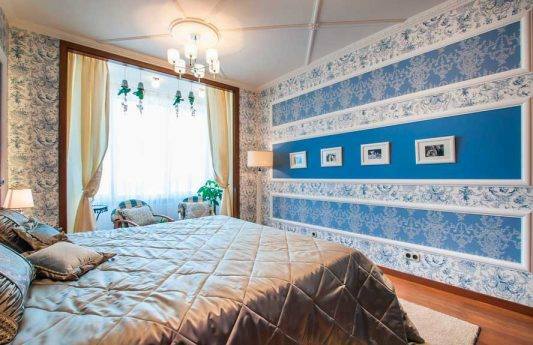 How to choose bedroom wallpaper colors? 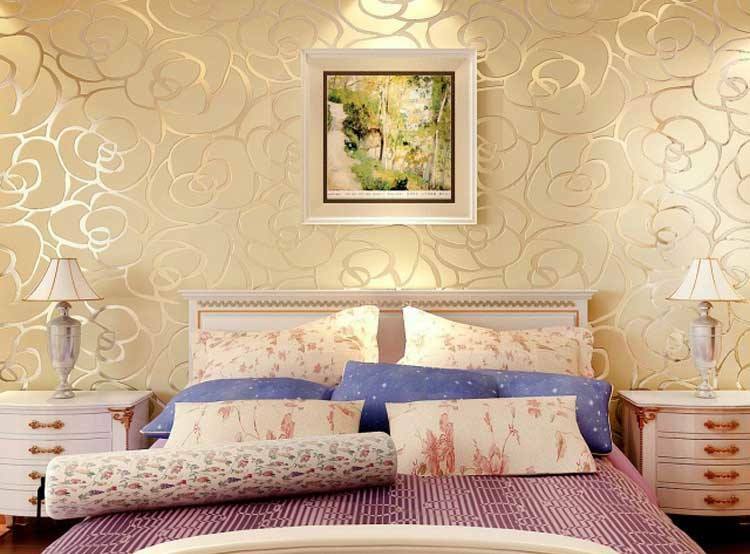 We recommend you to read: Modern wooden wall shelves design catalog. 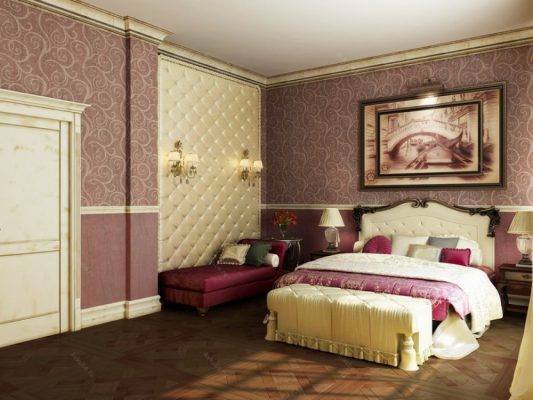 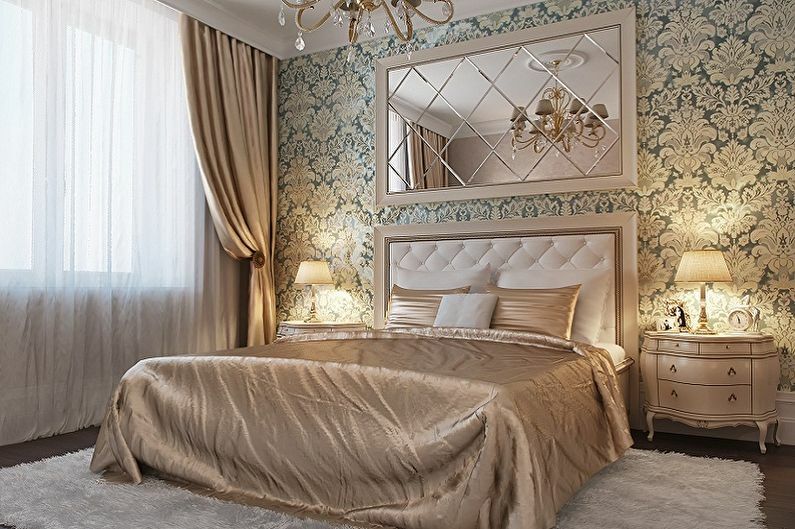 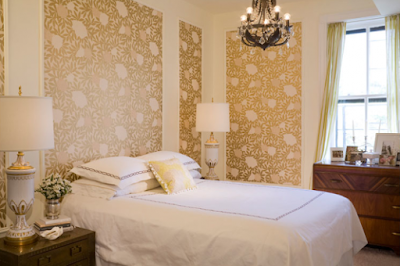 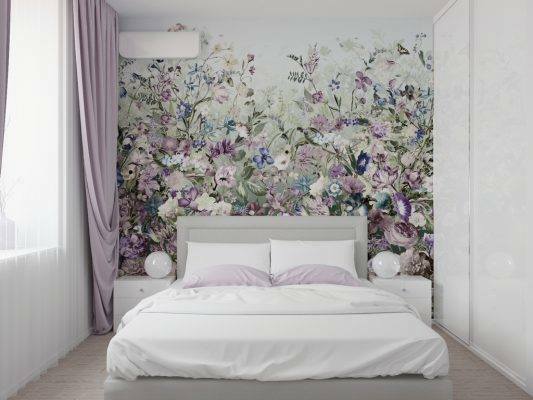 Surely many of us, choosing wallpaper design for bedroom, first of all look at the bedroom wallpaper colors, the presence or absence of patterns, prints. 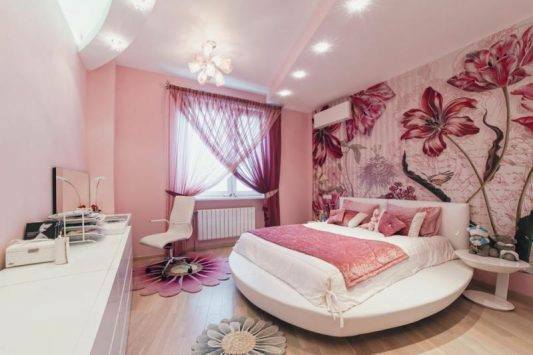 And this is completely justified, because each person has his own perception of a particular color, for example, red annoys someone, and simply encourages someone. 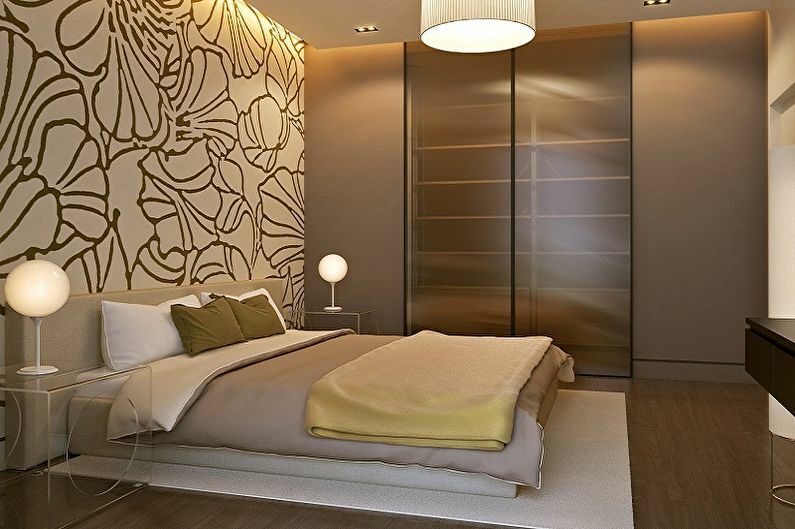 Choosing a palette, you should rely on personal preferences, as well as the style of the interior. The most popular are beige tones - a classic that never goes out of fashion. The presence of beige, brown, sand wallpaper in the interior of the bedroom helps to create the most warm, comfortable atmosphere. 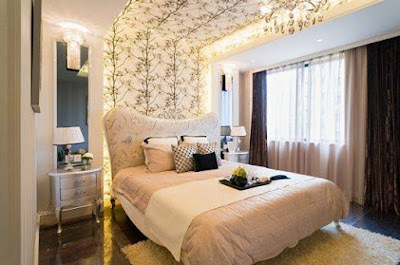 White wallpaper for bedroom, which, however surprising it may seem, has its own palette of shades, including mother-of-pearl, pearl, milky, will help emphasize the purity and ease of furnishing. Since the color is in perfect harmony with any other colors, it will not be difficult to find allies for him who will create contrasts in textiles, decor and furniture so that the decor does not seem cold and boring. The blue palette speaks of serenity, but at the same time, saturated blue wallpaper for bedroom can exert pressure and cause depression, therefore it is worth choosing blue shades. White linen with a blue floral print, which can often be found in rustic interiors, looks beautiful. 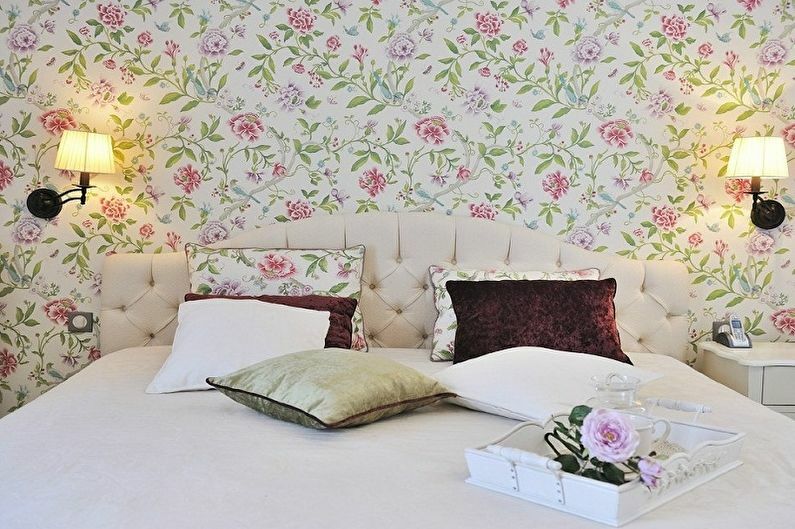 Green color is associated with nature, has a calming effect on the psyche, especially pistachio, olive tones, perfectly in harmony with wooden furniture. 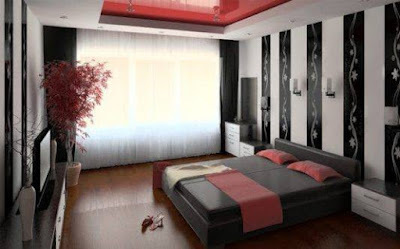 Red color should be introduced into the wallpaper for bedroom in a diluted form, for example, as scarlet canvases with cream or white patterns, as well as the main tone of the photo wallpaper. You can choose maroon or, on the contrary, pink wallpaper that will create a romantic mood, emphasize the sensuality of the situation. 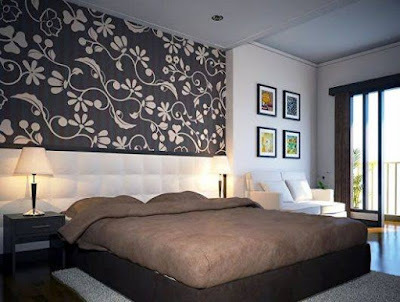 In the modern bedroom wallpaper collections, white, black and gray colors are often found, with the help of which graphic prints are created. 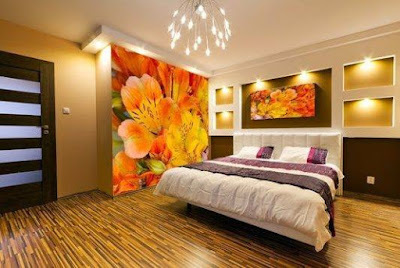 These paintings adorn the walls at the head of the bed - they perfectly dilute the monotony of the interior and do not irritate the eyes, as they are out of sight.